Israel: IDF uncovers Heznazi terror tunnels on northern border after locals heard their digging……. – The Tundra Tabloids……. Israel: IDF uncovers Heznazi terror tunnels on northern border after locals heard their digging……. Wide and tall enough for motorcycles to ride through. This is what the Islamonazis Hezbollah had planned for Israel. After watching Hamas’ progress in building tunnels into Israel, the Heznazis (aided by Iran) took measures to build an extensive number of infiltration tunnels to funnel jihadis into Israel when the time was right. Taking these tunnels head-on with Israeli technology, the IDF is now spearheading a move to seek and destroy them before they’re fully operational and used. The locals on the Israeli side actually heard the digging. This is how fortresses of old were undermined and after the age of black powder, had their walls blown up. 600-foot tunnel extended from a home in the Lebanese village of Kfar Kila and infiltrated some 40 meters into northern Israel; Residents tell Post they aren’t surprised. 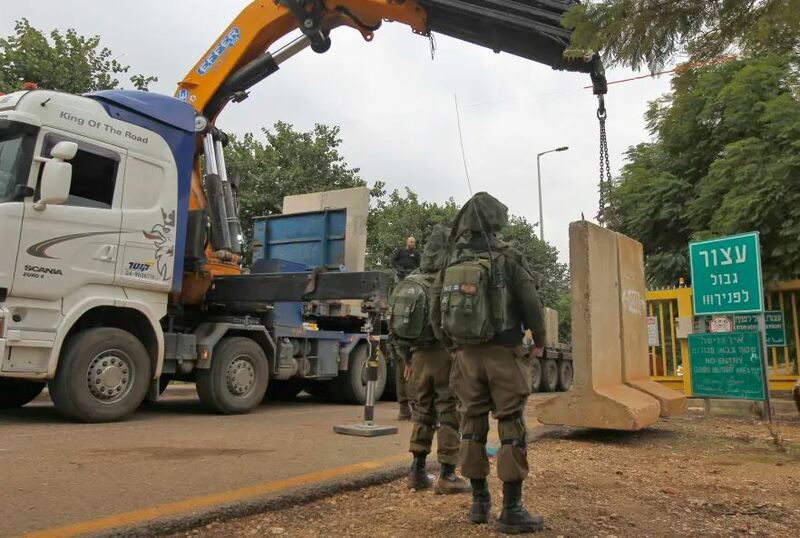 Across-border Hezbollah tunnel has been destroyed that began in a home in the Lebanese border village of Kfar Kila and extended some 40 meters inside Israeli territory near the town of Metulla, the IDF said Tuesday. It was the first tunnel the IDF has discovered as part of Operation Northern Shield launched to neutralize offensive tunnels crossing the “Blue Line”, the border demarcation between Lebanon and Israel published by the United Nations in June 2000 to verify that the Jewish State had fully withdrawn from Lebanon. According to the IDF, Hezbollah miners took two years to burrow their 180-meter-long shaft through the basalt into Israel. The tunnel, located 27 meters below the surface, measured two meters feet wide and tall. It was fitted with electrical and communication infrastructure, as well as a ventilation system. Previous Post Previous Post Finland: Oulu police warn that Foreign (Muslim) men are preying on young girls online……. Next Post Next Post Farage does ‘a Soini’, bolts from UKIP after Batten charts a ‘civilizationalist’ course for the party…….